Generator has opened its first US property, Generator Miami. A blend of high design, low price points, and magnetic social environments, Generator Miami has created a destination unlike anything in hotel-saturated South Florida. Along with 300 beds in 105 rooms, Generator Miami showcases three carefully curated food and beverage venues with strong local roots. Launched in 2011, Generator has already grown to 13 properties in European capitals like London, Amsterdam, Madrid, Paris, and Rome. Each Generator mixes comfortable private rooms with brilliantly designed shared accommodations, all at very accessible price points. Every Generator features free wi-fi, 24-hour reception, female-only accommodations, a travel shop, bar, and cafe. Generator Miami ups that game with an unbeatable South Beach spot on legendary Collins Avenue, one of America’s most iconic streets. Just 100 feet from the beach and 15 minutes from Miami International Airport, Generator Miami lets guests hit the sand running in one of the world’s great seaside playgrounds. “For the first Generator in the United States, we couldn’t ask for a more perfect setting than Miami, considered home to one of the largest collections of design and style in the world,” said Generator chief executive Alastair Thomann. 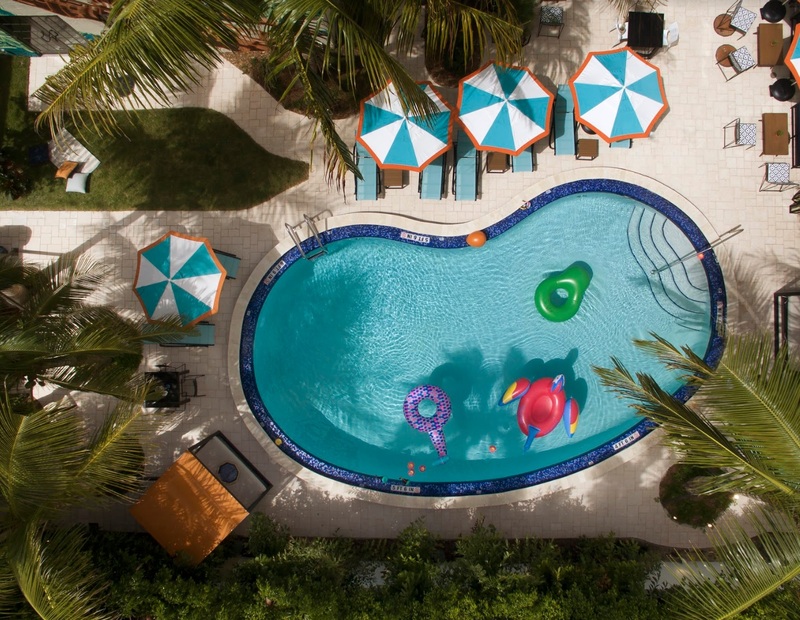 A slick adaptation of a classic 1940s-era condo called the Atlantic Princess, Generator Miami feels like a pop fantasy of a Miami Beach resort - lush with palm trees and greenery, bathed in Miami neon, with a pool as its social focus.